Welcome to the Harford District Roundtable Website! Serving all of your Unit Leader Needs! 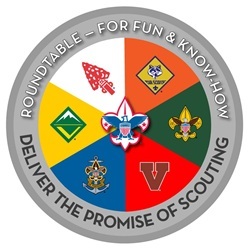 BSA Roundtables are a monthly gathering of Pack, Troop, Team, Crew, and District leaders. for Cub Scouts leaders, Boy Scout leaders, and Venturing leaders. Our monthly District Roundtable meetings are held at the Church of Jesus Christ of Latter Day Saints in Abingdon, MD usually on the second Monday of the month from August through May starting at 7:00 PM. Please check the District Calendar for schedule. What is the Goal of BSA Roundtables? Baden Powell’s time or you’re a brand new to the program..
just for you. Also find out the latest information regarding events and activities.